NBC is starting to cast for Donald Trump's successor for the forthcoming season of "The Celebrity Apprentice." Network executives are having brainstorming conversations about potential hosts, a person with knowledge of the talks said Wednesday. However, the person denied a story in the New York Post's Page Six column that the network is actively talking with comedian George Lopez about the hosting job. The Post story also said "discussions are in a very early stage" and that producers are "casting a wide net for a replacement." 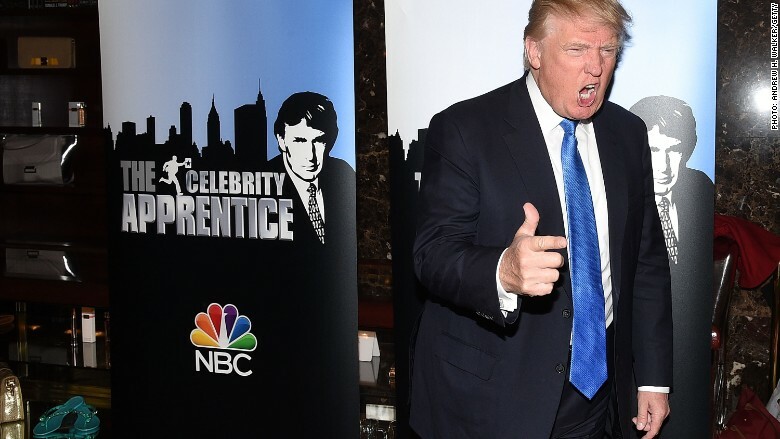 NBC is not commenting publicly on the fate of the "Apprentice" franchise. But the network still intends to produce a new season of the reality show this fall, so it can air in the winter or spring. That's why the discussions about a Trump successor are happening now. Big hair is not a necessity, but big personality is. The person has to be able to nurture, challenge and dismiss wannabe tycoons the way Trump did for so many years. NBC severed ties with Trump after the billionaire businessman began to run for president last month. Trump's harsh remarks about immigrants triggered protests and contributed to the network's decision. Trump said it was actually his decision to walk away from the "Apprentice," and that NBC executives were disappointed. At one point, he even posted a private email from the head of the network in order to question the executive's loyalty. Whatever the circumstances, NBC is free to cast a new host, since the "Apprentice" format isn't owned by Trump. It is owned by the prolific reality TV producer Mark Burnett. When NBC parted ways with Trump, a network statement pointedly said, "'Celebrity Apprentice' is licensed from Mark Burnett's United Artists Media Group and that relationship will continue." The show could continue with any number of new hosts. Depending on the direction Burnett and NBC want to take, it could seek a former contestant like Omarosa, a larger-than-life billionaire like Mark Cuban (though he is presumably already committed to ABC's rival "Shark Tank"), or an established television host like Lopez.